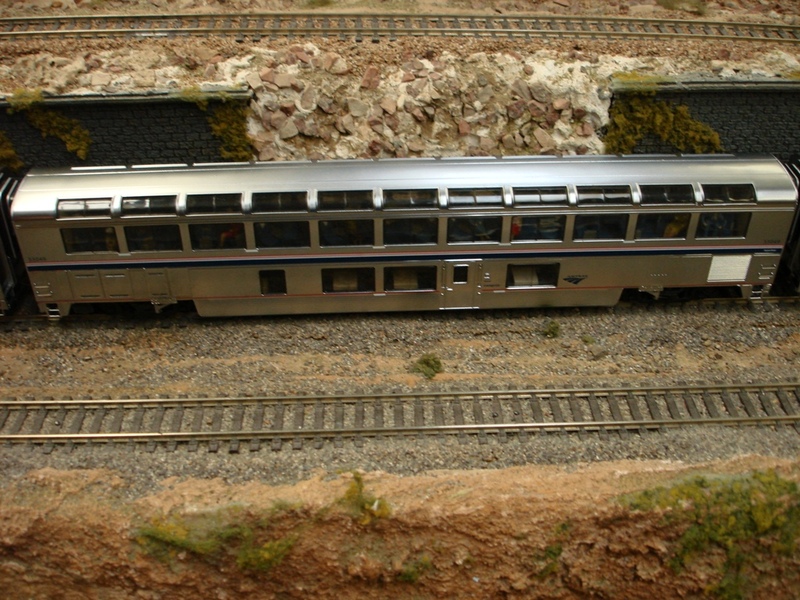 All of these cars are the HO scale Walthers revised superliner cars with plated metal finish. 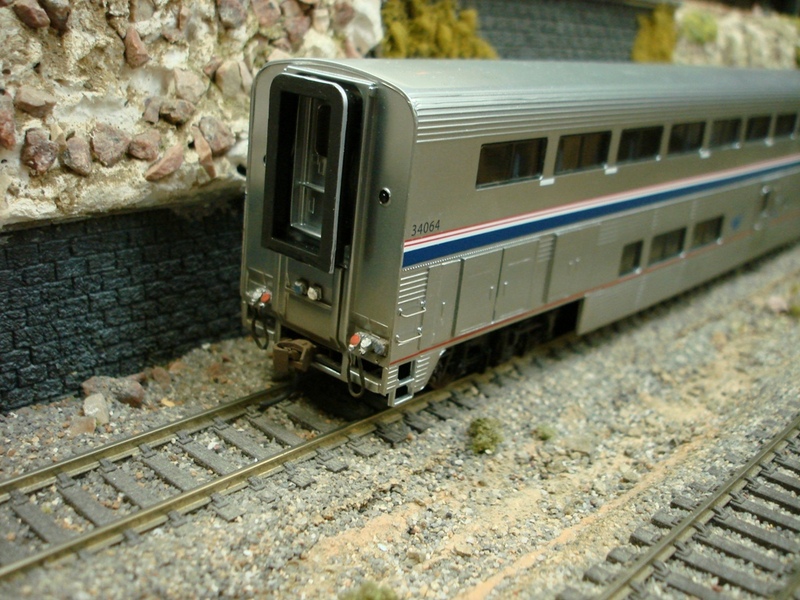 I added lighting and a fully painted interior with passengers to each car. 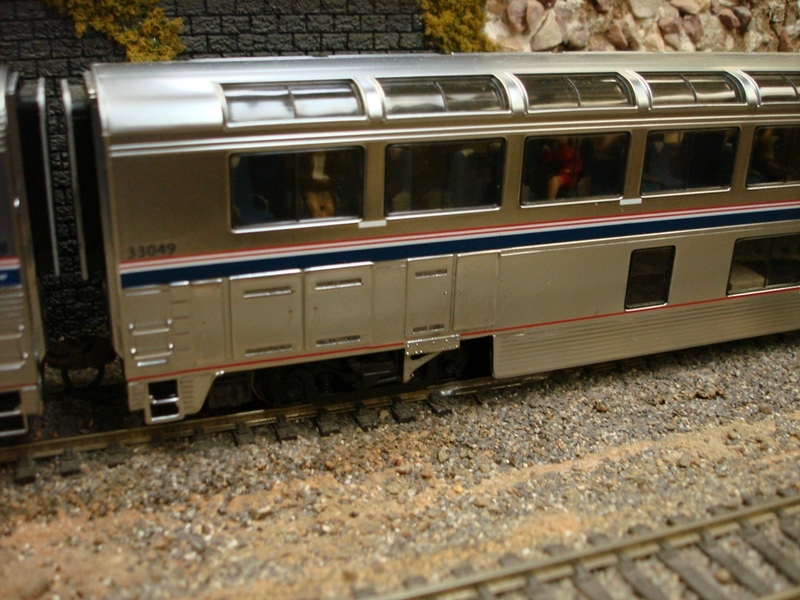 The rims of the diaphragms were painted silver and the wheels and couplers painted rust color. 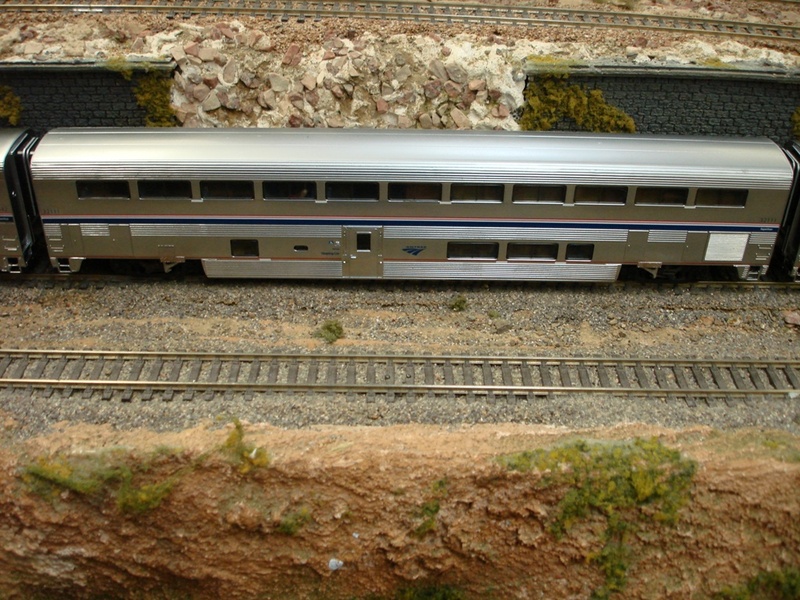 Every car also received a light weathering. 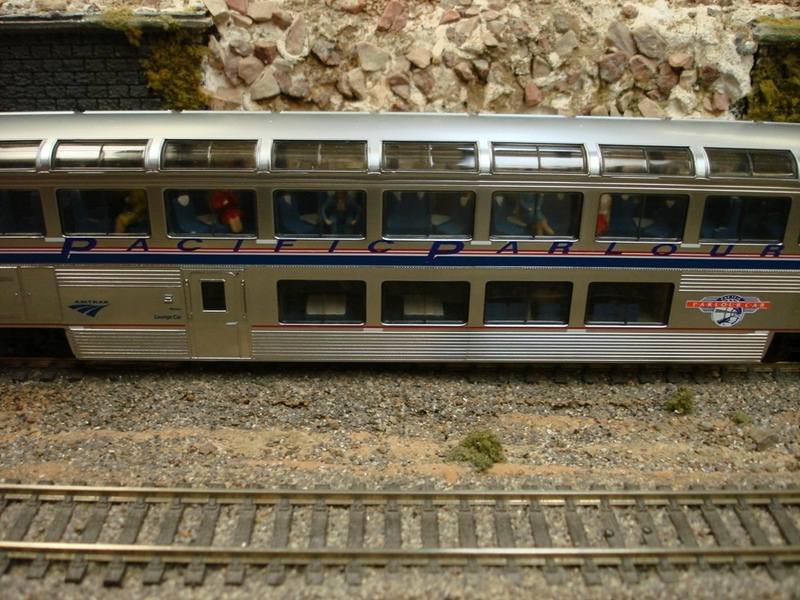 This car was decaled for the Pacific Parlour that runs on every Coast Starlight train. 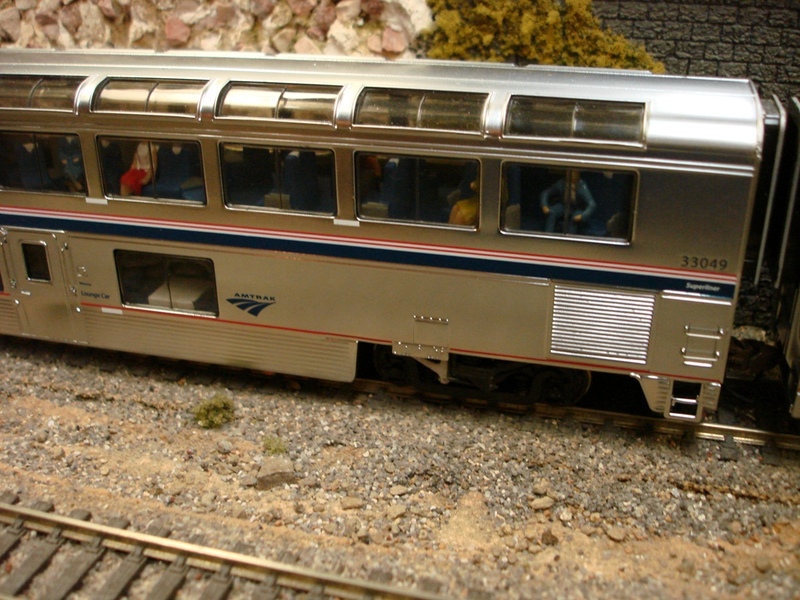 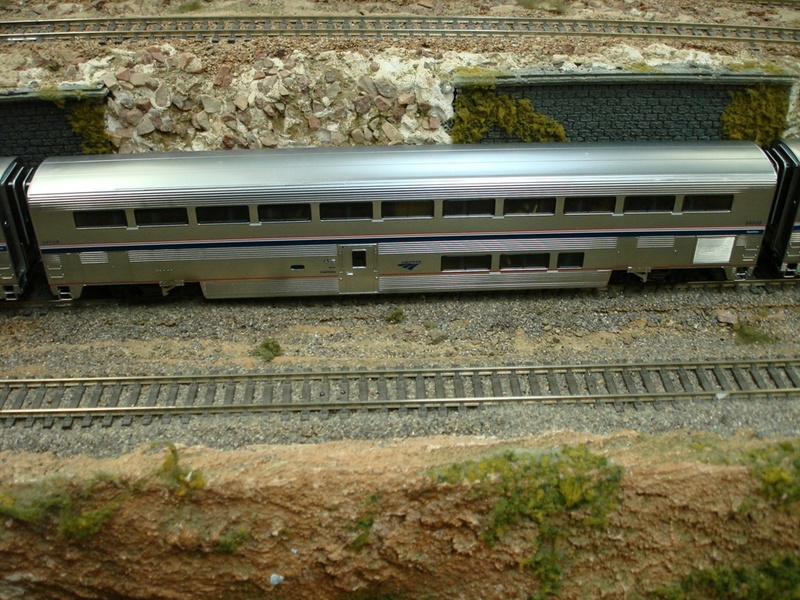 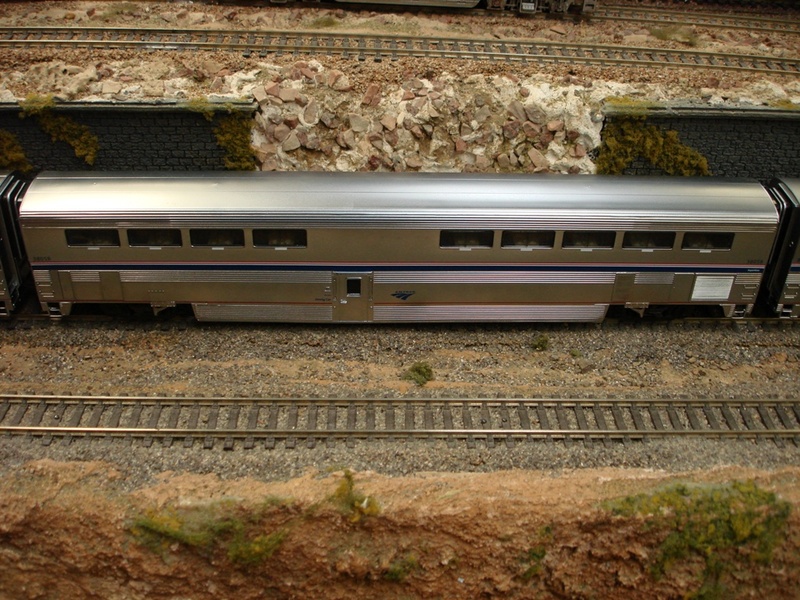 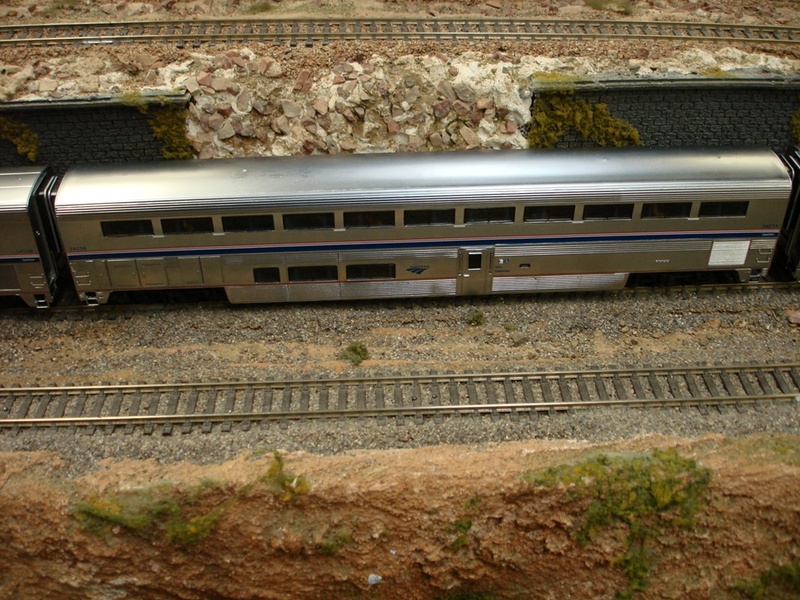 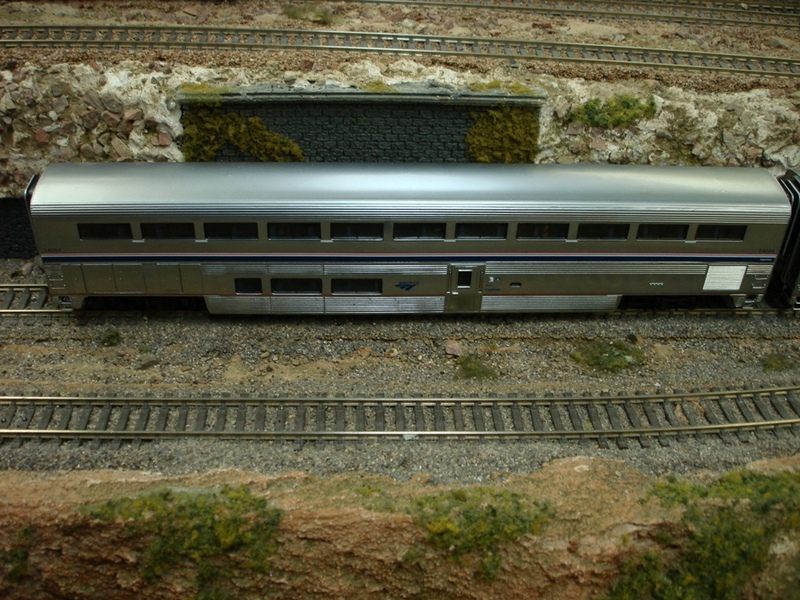 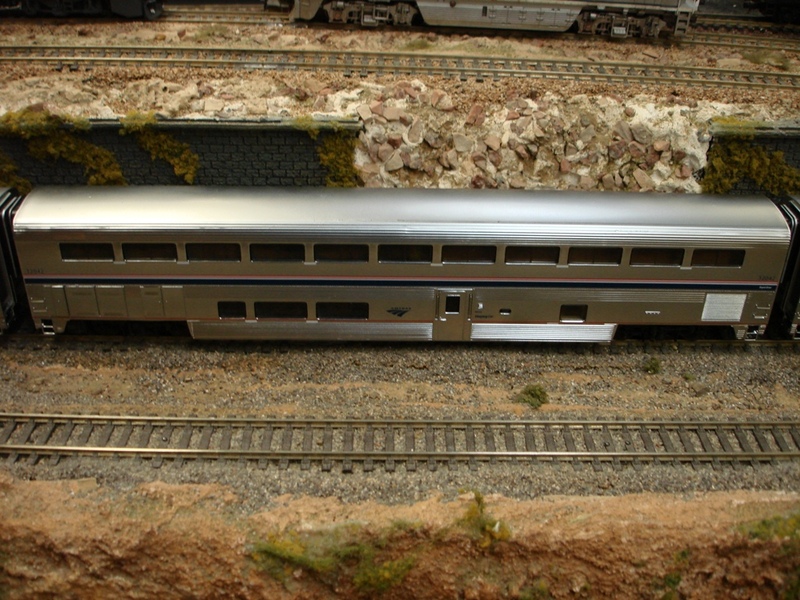 The prototype is an ATSF Hi Level lounge car however, I decided to do a little freelancing for this one. 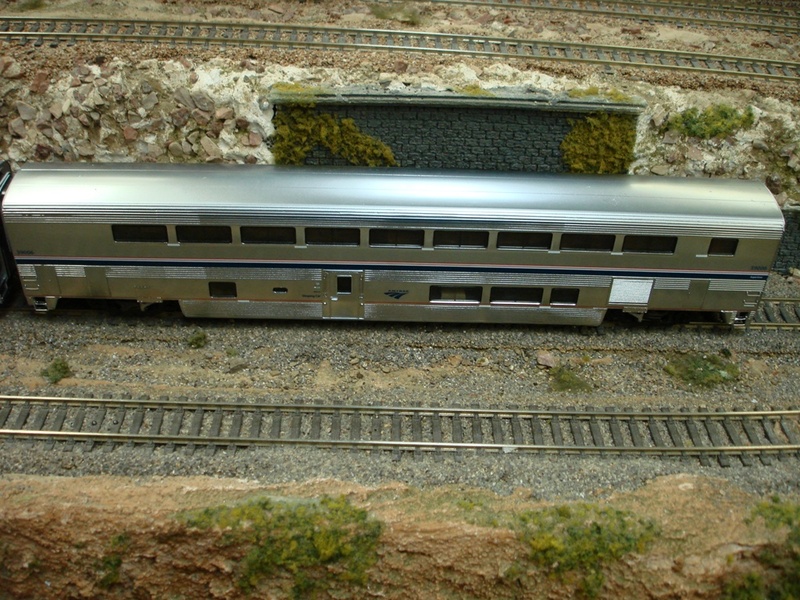 Now, it looks like Walther's will produce one shortly.